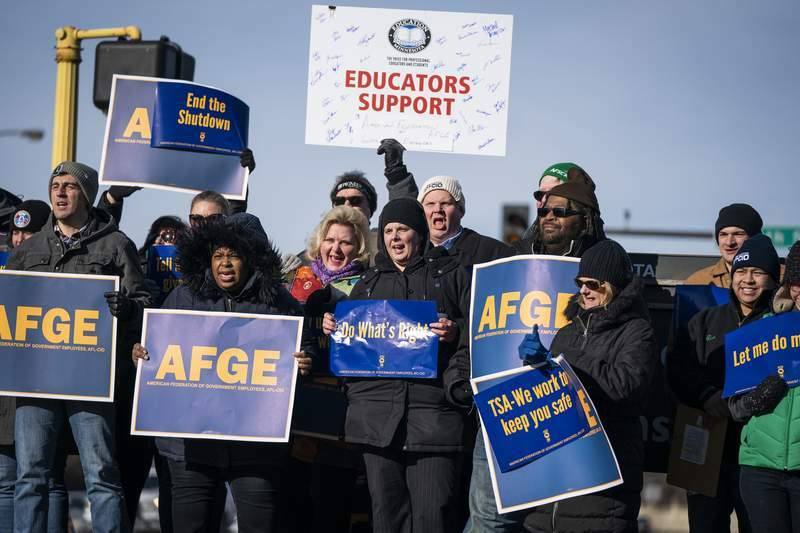 Associated Press Government workers and their supporters attend a rally Thursday in Minneapolis to highlight the effect of the partial government shutdown. Government reports on the state of the economy will be delayed if the shutdown continues. WASHINGTON – The partial shutdown of the U.S. government has begun to make it harder to assess the health of the economy by delaying or distorting key reports on growth, spending and hiring. Not all agencies are closed. Congress approved funding last year for the Labor Department, so the government's next monthly jobs report will be released as scheduled on Feb. 1. But it's unclear how long the department will be able to issue jobs reports – the most closely watched barometer of the economy – after that. The shutdown is costing the economy about $1.2 billion a week, according to Standard & Poor's. Some of that loss will be regained after federal workers eventually receive back pay for the time they missed. But many government contractors won't be made whole. And lost business – such as scheduled hotel stays from trips to national parks that won't be taken – may not be made up.